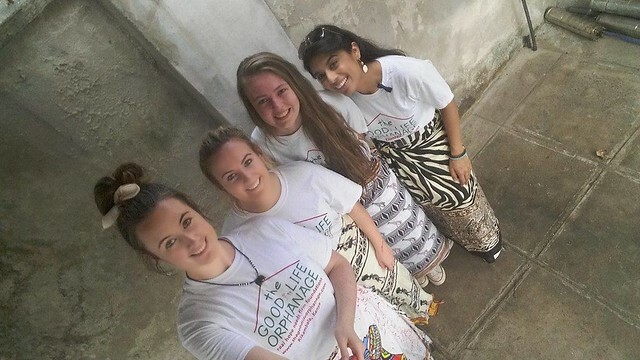 4th Blog of Christmas - Omagh to Mombasa, what a Trip !! So after another multiple sclerosis meeting I decided life’s too short so make the most of it. 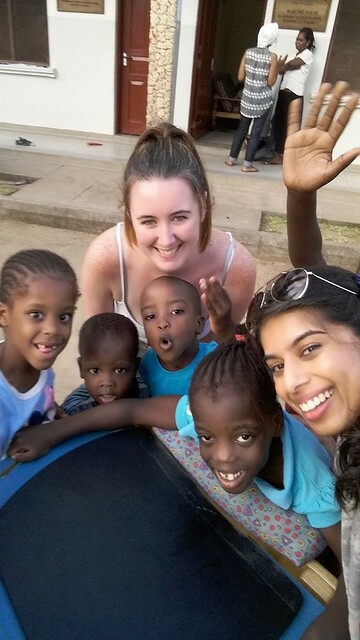 I had always dreamt of visiting an orphanage and after my aunt and uncle returned from their visit to The Good Life Orphanage, I had my heart set on seeing it for myself. After gathering a few travel buddies, we set off. 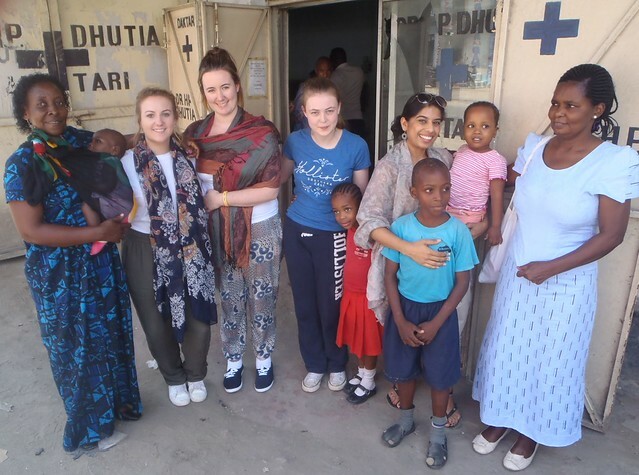 Nothing was simple from travel sickness to visa issues and delays, but after nearly thirty hours we finally arrived in Mombasa. We where greeted by the GLO staff and immediately made feel welcome. I took in all of the sights on route to the orphanage and immediately knew this would be a trip of a lifetime. 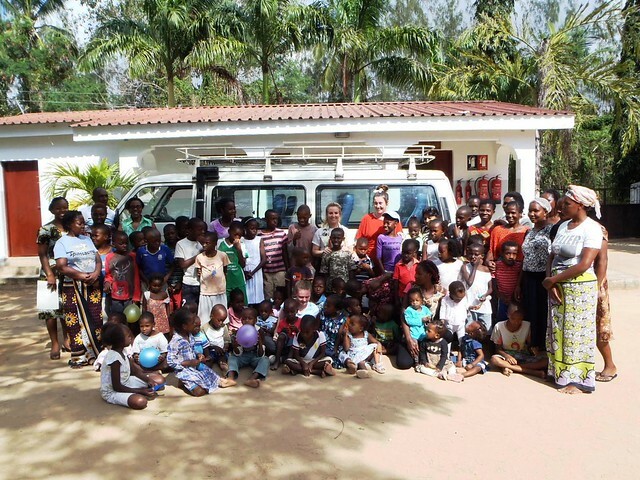 On arrival at GLO, we were greeted by Mamas, Aunties, children & other staff. It was amazing, all these smiling children began to sing the welcome song and made us feel apart of GLO from the beginning. I was allocated to Flynn house and the days began early, but through sheer excitement I never slept in one throughout my stay. 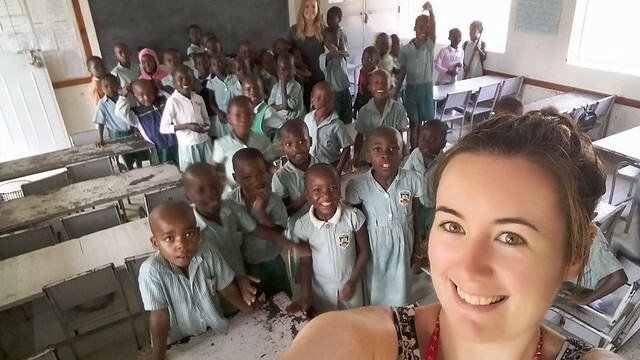 We walked the kids to school each morning at 7am and also spent a day in the classroom setting to get a feel for how the education system differs to the UK. The manners, singing, assemblies and education provided is outstanding and yet they have only the most basic tools to work with. The kids integrate with village children, all receiving a good standard of education to help set them up for the life challenges ahead. No fancy school bags or the latest trainers, yet the quality of the work they demonstrated to us was high class, which The GLO and ST.Bernadette Mary School should be very proud off, even going on to win the national choir competition. They also have a sewing room to help older girls sew and learn to make a living. 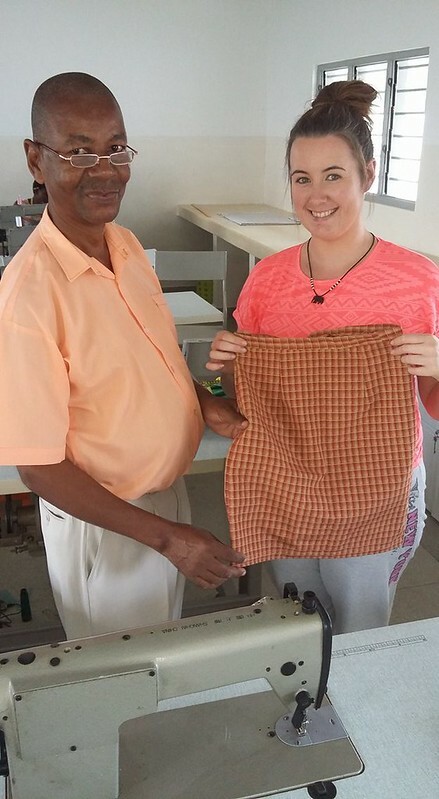 I spent a morning there and completed my first sewing project, a school skirt. The quality of the work produced and talent of these young girls put my attempt to shame. This lesson made me realise how I take so much for granted. Back home clothes are bought to be virtually disposable, and yet over there they fix everything and bring it back to new. 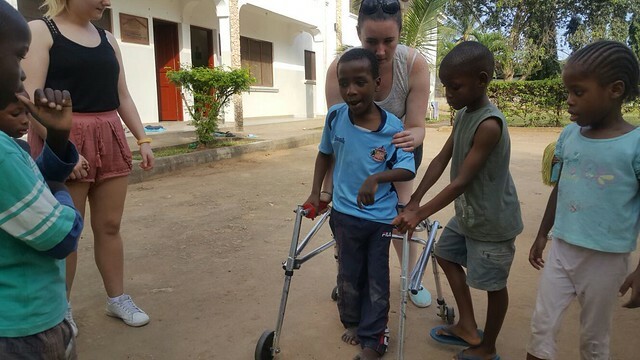 I spent a lot of time with the kids, helping a physiotherapist to build a donation of walking aids and frames. 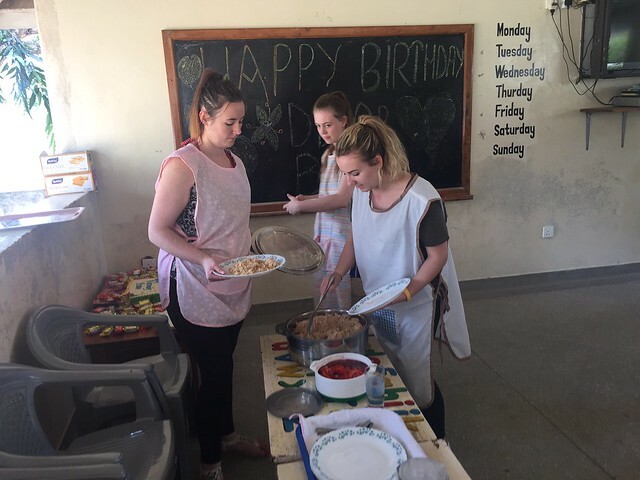 We demonstrated to the staff how to use the equipment and worked closely with the staff of GLO throughout our stay to ensure they were confident with the mobility aids before we left. Being a Physiotherapy assistant in the NHS we dispose of so much equipment that is not allowed to be reissued and yet is in perfect condition, but through rules and regulations reissuing does not occur. I was shocked to see how far a simple donation from the uk could go, and the difference it makes in these third world countries. So why question, why waste so much equipment in NHS, why not reuse or donate? The difference in the kids from when we arrived to when we left was astonishing. To find out papa Kevin and mama Mary have kept up the hard work is fantastic. I am in regular contact with the occupational therapist in GLO and the progress which is ongoing is encouraging. On our days off The GLO Driver, Eluid was our tour guide, showing us around different areas while keeping us all safe. We visited the doctor surgery, nothing like what I have ever seen before and unless you see it for yourself nothing prepares you for how basic it is. We went to the local markets, thousands of people selling fruit and eg, but the mamas kept us feeling secure as being a “mzungu” (white skinned) we attracted a lot of unwanted attention. 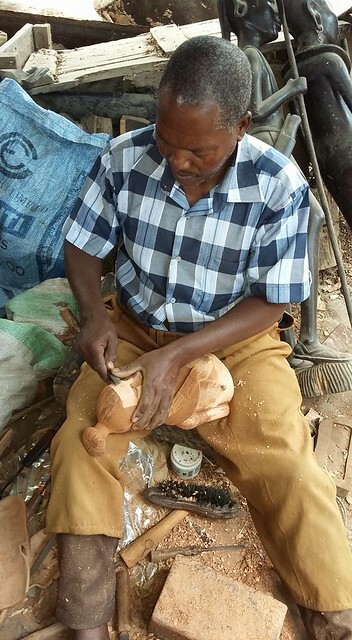 The Akamba Wood Carving Co-operative is a must if you go to Kenya, we spent hours here and the talent of these men young and old is unbelievable. On one of the days we decided to do games and crafts with the children. The colouring pages entertained them for hours and every child got involved. We blew up balloons and as the kids played we noticed for the first time since we arrived, a very shy timid little boy beginning to show trust and nervously smiled and joined in. this was an amazing experience. On our last day at the good life orphanage I had got very attached to a few of the children and decided to become a sponsor to a little girl who stole my heart. 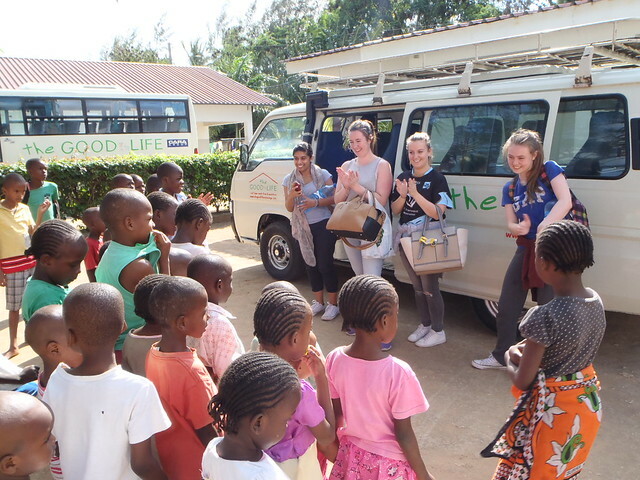 We packed up and headed down to say our goodbyes, greeted by all the children, we lined them up to give each child a last biscuit, unreal how far a packet of rich tea stretches. 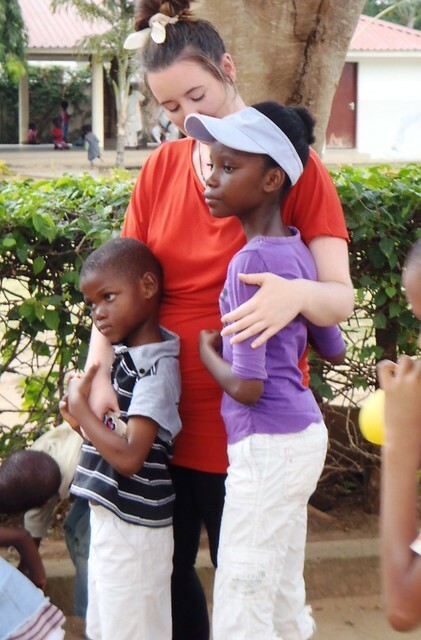 Each child hugged and kissed us and when they realised we were leaving the tears began. Once the kids started there was no stopping me, I cried from the minute we left to the minute we arrived at the airport for the long journey home. It was at this point I knew how huge The GLO impacted on me and I knew I would definitely be returning. Sounds like you had an amazing time which you will remember forever! GLO really is a wonderful place!